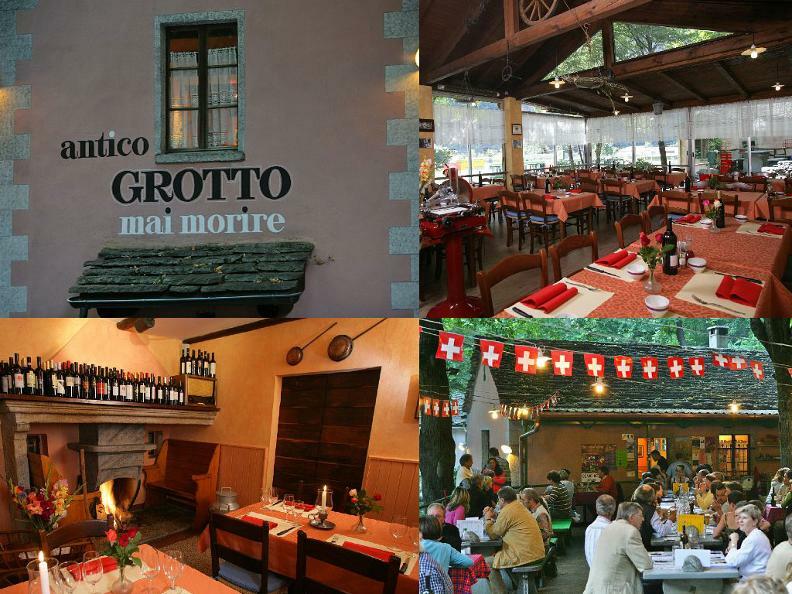 The Antico Grotto Mai Morire is located at the exit of Avegno, 5 - 10 minutes from Locarno/Ascona. Big parking place for 80 cars. The bus coming from Locarno (line 315) directed to Vallemaggia, stops just in front of the grotto. Inside we have 92 places, outside, under the centuries-old trees, 170 places. Since more than 32 years, family Cavalli, owner of the Antico Grotto Mai Morire, propose typical dishes (minestrone, charcuterie, cheese) but also warm cuisine (goat, braised meat, ossobuco, bunny, mushrooms with polenta or risotto). Furthermore, we have stone-cooked meat and our special spare ribs.